Birth name: Atsushi (篤史) Shirakawa (白川) Tenmon (天門), born Atsushi Shirakawa, is a Japanese music composer from Tokyo, Japan born in 1971. 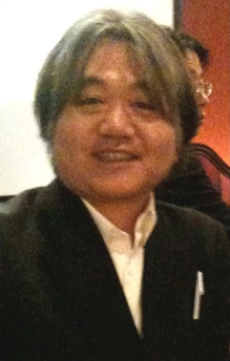 He worked in the Nihon Falcom Corporation as one of the members of Falcom Sound Team J.D.K.. During his time with Falcom, he has composed much music for Falcom games, most notably Brandish. Having known Makoto Shinkai as a co-worker in Minori he has composed music for Shinkai's works since She and Her Cat. He is perhaps best known for creating the soundtracks for Shinkai's subsequent works, Voices of a Distant Star, The Place Promised in Our Early Days,5 Centimeters Per Second, and most recently, Children who Chase Lost Voices from Deep Below.